Seems like a daunting task, but with the help of your eyecare professional you will be surprised how many choices are available. the prescription. Some prescriptions are not well suited to certain frame designs, your optician will help with an explanation. the depth of the lens opening( from top to bottom) should be considered to ensure that there is enough room for bifocal or progressive lenses. Your glasses should balance (actually contrast) your face shape. Eyewear should accentuate your best features. Bright, stunning blue eyes – repeat the blue color in your frame choice. It will draw attention to your eye color. The frame color should be one shade darker or lighter than hair color. 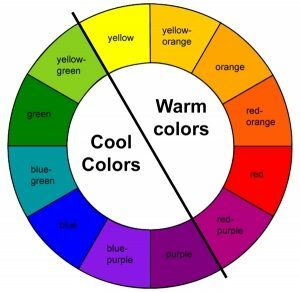 When the frame color is the same hue as hair color it competes with hair which is one of our most prominent features of our appearance. The frame size should be appropriate to your face size. The temples should frame the widest part of the face. The depth of the frame should be appropriate with the length of the face. Remember, the frame front is for you, the temples are for everyone else, meaning we see the front of the frame in the mirror. The temples, which are on the side of the frame are seen more by others. When you are choosing a frame, make sure you are as pleased with the frame front as with the detail on the temple. Face Shape – The Art and Science of Choosing the best frame. Human faces come in all shapes and sizes. For each shape there are eyewear frames that work better than others. Most people have a good artistic sense and are able to create balance. Your optician can help with suggestions. Heart – the forehead is wider than the jaw. Choose a frame that is wider at the bottom of the frame. Long – the face is longer than it is wide. Try frames that have more depth than width. Choose temples with detail that add width to the face. Oval – considered to be the ideal face shape to wear any frame shape, because the proportions of the face shape are balanced. Base Down Triangular – narrow forehead and wider cheek bones and chin. Choose frames that have more detail and color on the top of the frame, maybe a cat-eye shape. Square – broad forehead and a broad jaw. Choose narrow frame styles, and frames with more width than depth and narrow ovals. Round – The round face has no angles. 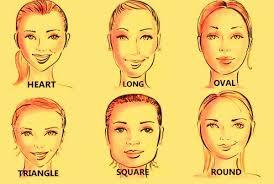 To balance a round face we want to add angles, choose a frame that is in the right proportion to the face size and provides flattering angles, usually a rectangular shape is more flattering than a square shape. For help choosing the right frames for your face, prescription, and features please visit us in store. One of our professional staff members will be able to assist you in finding the perfect pair of glasses.